Back pain is a chronic and prevalent condition that brings a lot of patients to see their doctors. There are different underlying causes of back pain because some can be caused by injuries and aging while some can be through genetics. Pain caused by herniation can be treated through pain interventions or surgery, depending on the severity and need of one’s condition. Our spinal cord runs through our spinal column (called the vertebrae which is made up of a series of bones) and it is because of our bones that our spinal cord is protected from injuries. 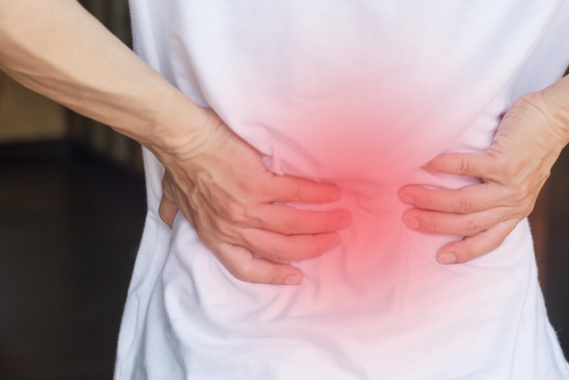 In the case of a herniated disc, the condition wherein a spinal disk’s jelly-like center starts to push outward and creates a tear on its encasing wall, an awake endoscopic discectomy or lumbar discectomy can be done. Awake endoscopic discectomy is a minimally invasive surgical procedure used in the treatment of lumbar herniated discs. If this procedure is deemed necessary, our doctors will discuss this treatment option with you. This surgical procedure is slowly gaining popularity among individuals in the hopes of alleviating their back pains and discomforts. Before making up your mind in getting this type of treatment, make sure you get to discuss the pros and cons with your physician since not everyone needs a lumbar discectomy for their chronic back pains. Lumbar discectomy may be recommended by your physician if physical therapy, anti-inflammatory medication and other treatment options have not given you any form of relief from your condition. At our pain management center in Hyderabad, Telangana, we aim to educate our patients with treatment options most ideal for their conditions. Some may require surgery while some see physical therapy fit for their pain management. Advanced Spine and Knee Hospital helps individuals cope up with their back pains and discomforts. For your inquiries and appointments, please call us at 91-9100499070. This entry was posted in Lower back pain and tagged Endoscopic Discectomy, lumbar discectomy, pain interventions. Bookmark the permalink.